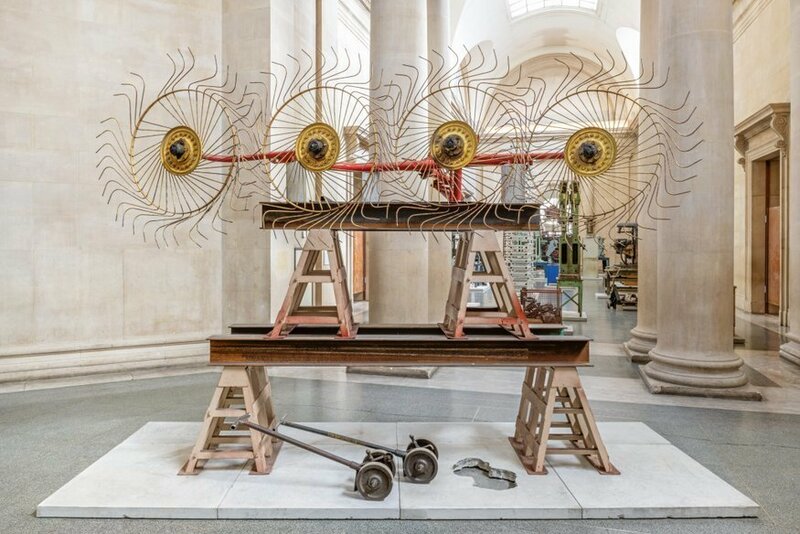 If you go down to Tate Britain today, you're in for a big surprise. 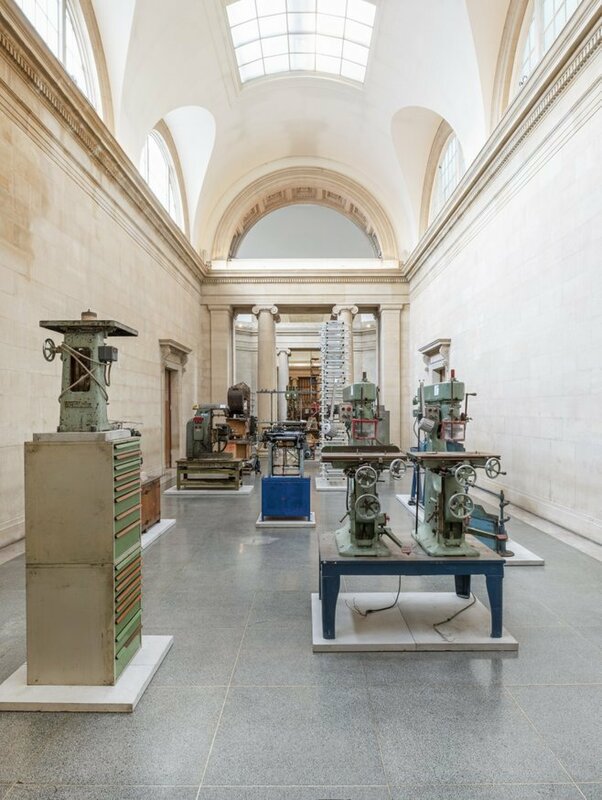 The beautiful and spacious central hall, officially known as the Duveen Galleries, is filled with big chunky industrial equipment. It's the work of artist Mike Nelson, who was commissioned to fill this voluminous space, and the result is a fantastic contrast. Polished floors and high ceilings meet gritty industrial machinery. Tate Britain is designed to be a museum of British art history, so Nelson has filled it with a part of British history that we won't see at Tate. All of the items are recovered from places that no longer need them — including machinery from factories that have shut down, woodwork from old army barracks and doors from an old NHS hospital. Nelson hails from the East Midlands, and has included knitting machines like those from the textile factories he grew up around. We imagine the display will evoke similar memories from those who grew up across the UK at the same time as Nelson — he was born in 1967. However, it's fair to say for the generations who came later, or from areas where these industries weren't based, it must feel like a world away. For this Londoner, who was a child of the '90s, Britain's industrial past is something that's referred to but not directly experienced... and it shows. All the big pieces of the equipment in the show are familiar enough that we can identify a drill, but if asked what it could be used to make, we would have no idea. Similarly with textile equipment — we circumnavigated one item, trying to figure out what it does, but walked away none the wiser. It's exactly how we'd behave in The British Museum as we look at an Egyptian tablet and try to decipher its hieroglyphs. It's scary to see how fast technology has progressed and how divorced we are from the manufacturing process behind the goods we use in our daily lives. 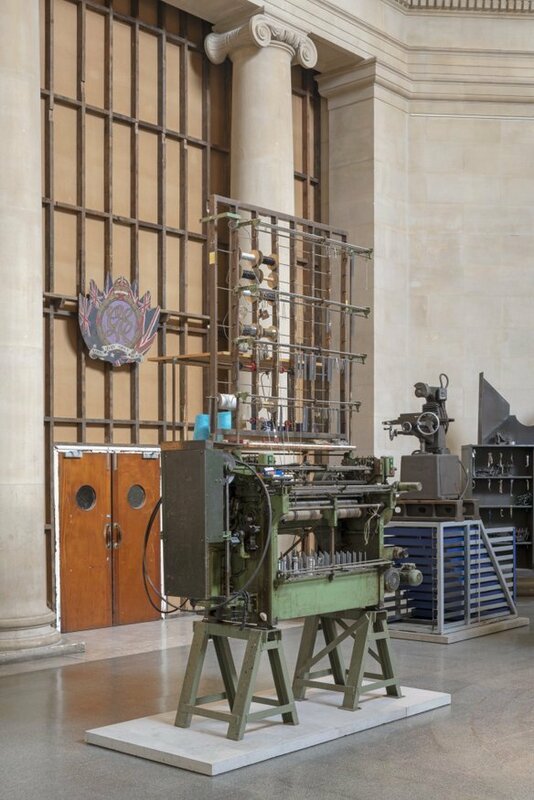 Just as Greek and Roman statues remind us of ancient times, these massive machines and old wooden doors act as monuments to a Britain that no longer exists — marking our transition from manufacturing to a services industry. Whether that's something to mourn or an advancement to celebrate is for each visitor to decide for themselves. What we can say for certain is Mike Nelson has produced a thought-provoking installation that's riveting. 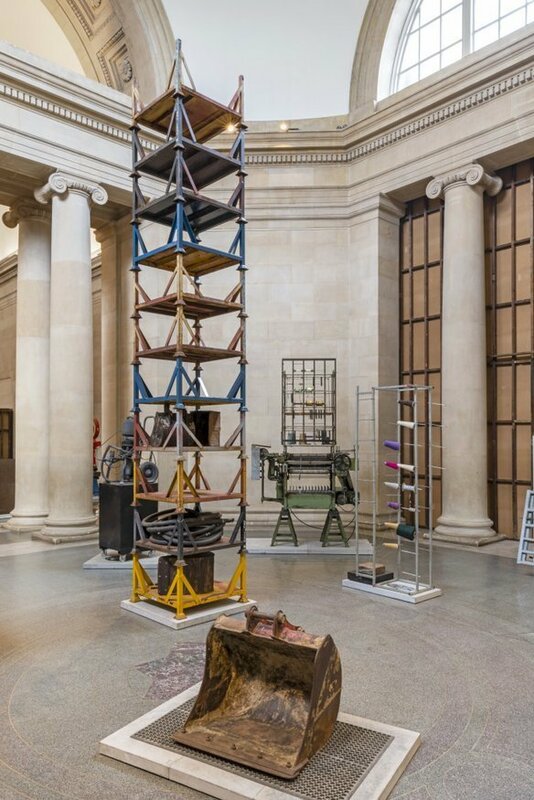 Mike Nelson: The Asset Strippers is on at Tate Britain until 6 October 2019. Entrance is free.